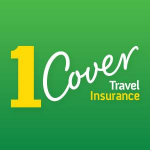 At 1Cover we're committed to providing you with travel insurance you can count on. More recently, we have also started to provide great value Car and Home Insurance as an authorised representative of Auto & General Insurance Company Limited. We provide all our customers with 24-hour Emergency Medical Assistance, 365 days a year. We are the experts in Travel Insurance and we are there when you need us, no matter what.